Jaded Blossom: End of the Year School Gifts! Jamie here to share a couple end of the year teacher gifts! My first project is a super simple one! 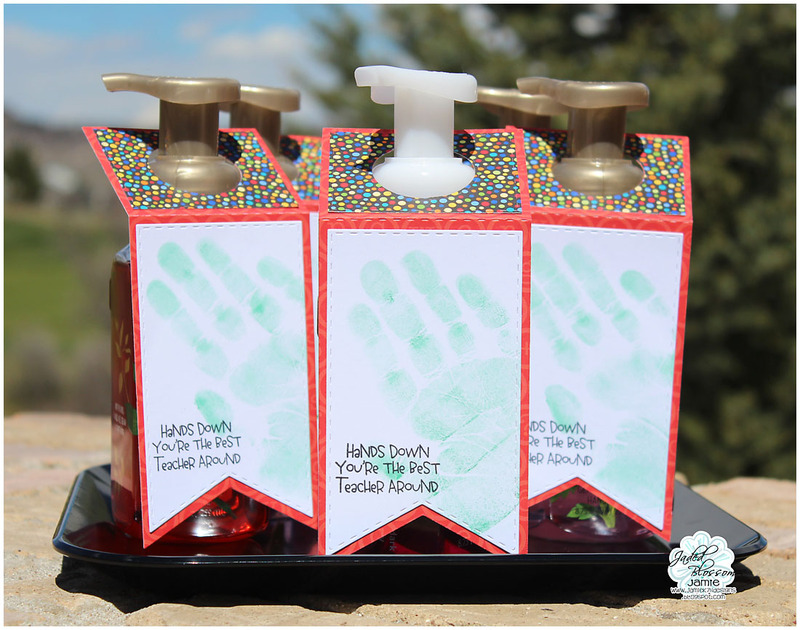 I stamped my kids handprint onto the mat of the Wine Tag Die and added the sentiment from Teacher Appreciation. Then I added the tag to a bottle of foaming soap! The 2nd treat I used the Scallop Slider Topper and added the pencil from School Dies. 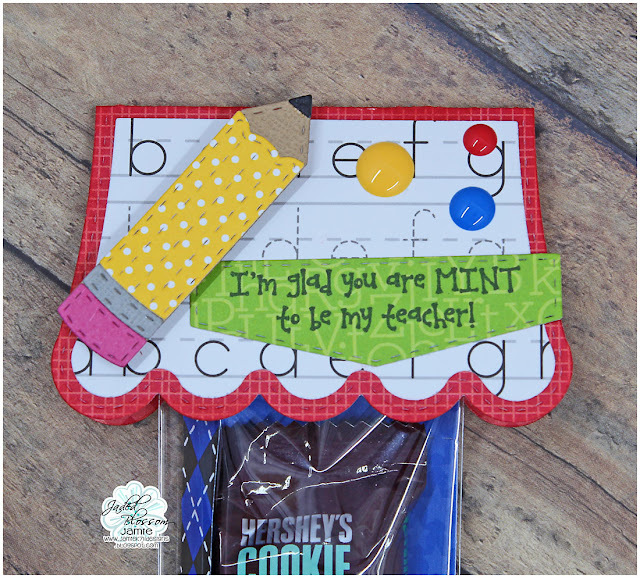 Then I stamped another sentiment from Teacher Appreciation to a Label Die and added it to the topper along with some sprinkles. I used the tray from the Candy Caddy to hold some mint treats! These are both so cute!! Love the hand prints! !